Furnish and install the Portals Plus Standard Alumi-Flash at all points where up to four pipes 1" - 2" in diameter penetrate the roof. 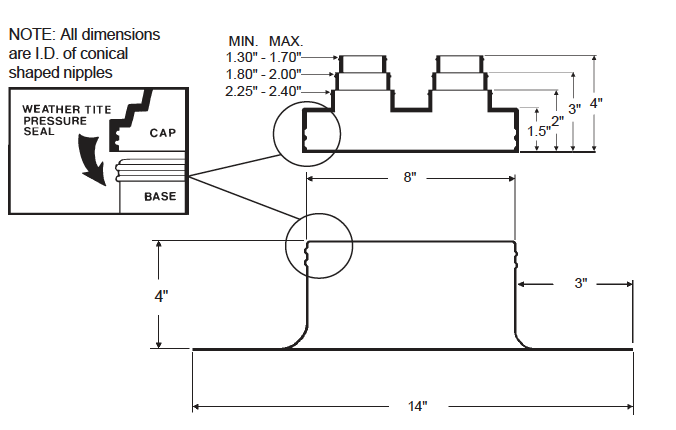 The Standard Alumi-Flash shall include a .060" spun aluminum base unit with a height of 4" and a base diameter of 14". Attachment and installation of the Standard Alumi-Flash shall be done in accordance with Portals Plus' instructions and the roofing membrane manufacturer's recommendations. *Sold by the carton only, quantity of 5.